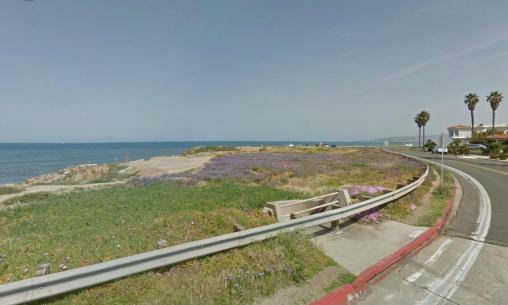 1200 block of Sunset Cliffs Boulevard, approximate area where Speroni was pulled from the surf. The San Diego County Medical Examiner’s Office has confirmed today to the OB Rag that the 41 year old male pulled from the ocean at Sunset Cliffs on Sunday, December 29, did in fact pass away. Alessandro Speroni was the man’s name. The cause of death has not been determined as the investigation is still under way, we were told. When he was pulled from the surf, Speroni was unconscious. The San Diego man was surfing with three friends who found him face down in the water after a series of waves, San Diego lifeguard Lt. Andy Lerum said. They dragged him to the shore at Sunset Cliffs and called 911 just before 9:40 a.m. It is unknown whether Speroni lived in Ocean Beach or Point Loma or not, but we have learned that he was the owner of the Soleluna Cafe in Cortez Hill and was recently married. An investigator at the Medical Examiner’s Office told us that they are using the location where Speroni was found as the 1200 block of Sunset Cliffs Boulevard. Alessandro’s Facebook page is here. A tremendous loss for his family and his friends. He was a wonderful, kind and generous person and we will miss him beyond what words can describe.